All staff and students are now invited to join an online quiz organized by Emerald. 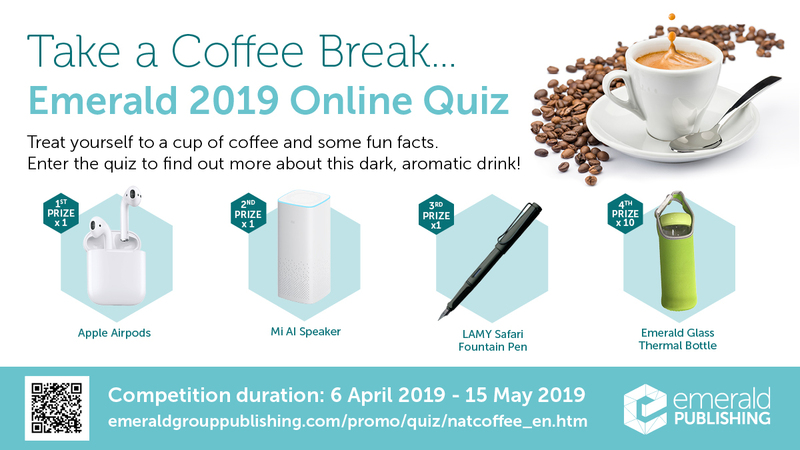 If you have all FIVE quiz questions answered correctly on or before 15 May 2019, you will enter a lucky draw to win one of the 4 fabulous prizes. Winner of the quiz will be contacted directly by Emerald. Click Here for more information and to start the quiz right away!